I couldn't decide on a color so I stacked them all on. Which is your favorite color? 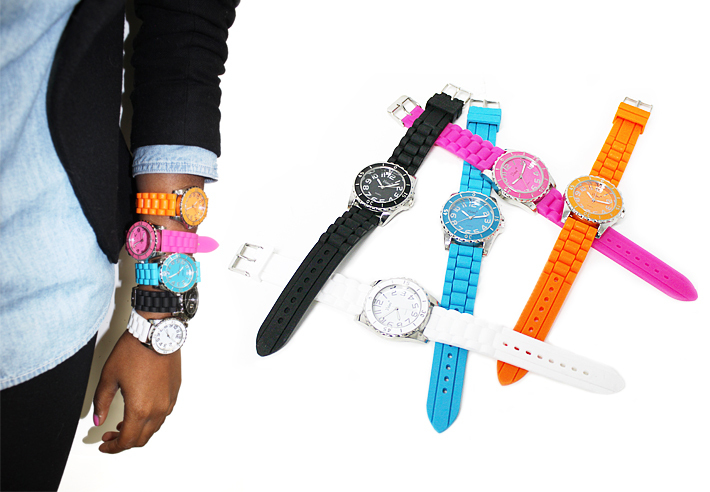 These playful watches are still available in a limited amount of stores, get 'em while they're hot.